Northern Powergrid is to plough £1.9 million into the creation of a smart energy grid across its network, allowing its eight million customers to trade power and services using their home solar and battery systems. The distribution network operator (DNO) unveiled the three year project in London this morning (28 November) which will result in a Customer-Led Distribution System. The new energy market will seek to link together 3.9 million homes in the North East, Yorkshire and northern Lincolnshire and help them benefit from the low-carbon technologies transforming the energy network. The DNO will seek to identify the best use of these technologies in a future smart energy system and the business models and policies necessary to support them. Northern Powergrid says its Customer-Led Distribution System project is the first to take a holistic view of how to maximise the benefits of a future smart energy system, identifying how to accommodate large volumes of new technologies, such as local generation, at least cost while at the same time enabling customers to earn income by selling energy or services to balance the network. The DNO has already begun building a knowledge base for such a project, using the Energise Barnsley project to explore how to use home batteries to relieve pressures on the network caused by solar panels. 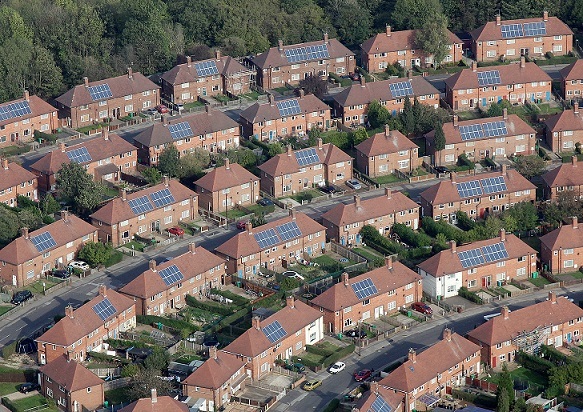 The trial, using Moixa batteries in 40 homes, is expected to halve residents’ energy bills, enable more solar power to be installed without upgrading the local network, and potentially save millions in the cost of running the UK’s electricity system.